CAB Yachts is a small, unique custom yacht design/ build practice located in Pensacola, Florida. We have designed watercraft to 41’ in length and are currently busy planning and building up our line of semi- custom models from 12’ to 37’ in length. We know how to build wooden boats correctly so they will last and we are the Antique & Classic Chris-Craft specialists in the South East U.S. - 5200 bottoms and hulls, restoration, refit, and planking. We build hulls that are sealed with moisture regulating technology that maintains durability for decades! Officially founding the business in 2010, Charles A. Bodree Jr. had developed the concept for the business years earlier as his love of boats began at an early age. Raised on the water along the Gulf Coast, Charles’ father was an avid yachtsman, designer, and builder who encouraged his son’s love of all things maritime and creative. By age 10, Charles was designing and building boats of his own. Charles was fortunate to grow up in a family with classic boats, so his understanding and respect for the classics runs deep. To date, Charles has designed some two dozen skiffs and yachts from 8 feet to 41 feet in length and now Charles is able to offer discerning clients a “boutique-like” experience in a yacht design build commission. In addition, Charles brings extensive knowledge of materials integration to the company and years of experience in fine carpentry and marine finishes and repair. 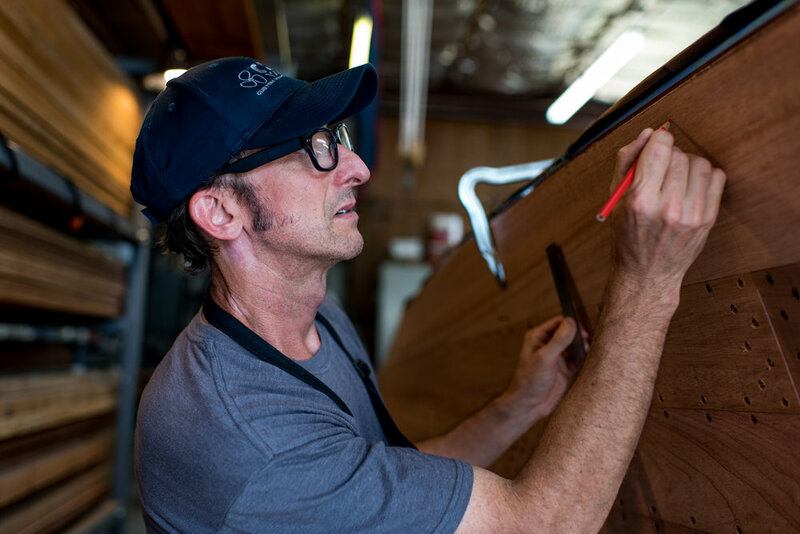 Charles holds a Bachelor of Architecture from Auburn University and with more than 20 years in the Architecture profession, he has acquired a unique insight into the design and construction of beautiful watercraft. In addition, Charles owned & operated a custom design/ build practice for more than 5 years and he has received multiple awards for excellence in the design of objects, fine art, graphics, and architecture over the past 32 years.